Neutral density (ND) filterers are a very helpful tool that you are very likely to find in many professional landscape photographer and videographer kits. This article covers uses of ND filters in drone aerial photography and video. 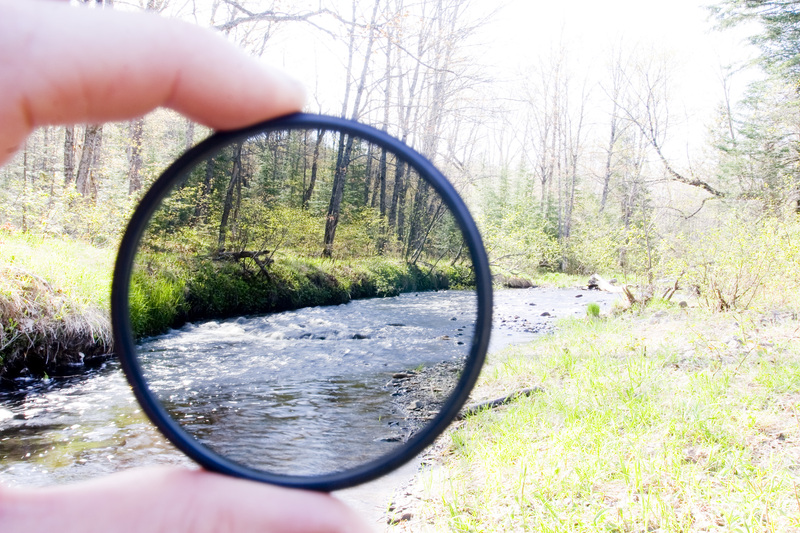 Neutral Density filter is a semi transparent glass filter that you can place in front of your lens. It reduces the amount of light that can pass through the lens. In most cases, it modifies, (or reduces) the intensity across the visible spectrum equally, so it does not alter the hue or color of the picture – this quality is what gave these filters their name. ND filters are specified by their light reducing ability – the higher the number, the more “reduction in incoming light it provides. For example, ND2 filter will reduce the light by 1 stop, ND4 by 2 stops, ND8 by 3 stops, 16 by 4 stops. A Stop is a measure of exposure – increasing the exposure by 1 stop means doubling the amount of light entering the lens. One stop reduction means halving the amount of light. You can find ND filter kits for pretty much any camera lens out there, even create your own if necessary. By reducing the exposure, the ND filter allows us to slow down the shutter speed, or open up the aperture (on lens with variable aperture). Slowing down the shutter speed is beneficial in cases when we need to introduce motion blur to the subjects in our photos (water, clouds). 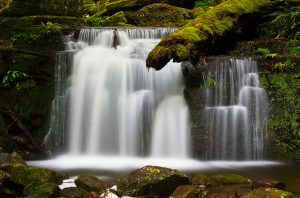 With ND filter, you can turn waterfalls or rapids that would otherwise look “frozen in time” into a great looking blurred veil. Another great use would be car or sports photography, where using the ND filter can help make the subjects appear like they are moving (blurred wheels vs. “frozen” wheels on a car, or a sportsmen leaving a trail behind). There are also gradual ND filters that reduce the amount of light gradually from bottom to top, which makes them very useful for aerial photographs of contrasty scenes (bright sky over dark land), making the photos more balanced and easier to work with in post processing. When used on lens with adjustable aperture, the ND filter can help us open the aperture up while preserving the shutter speed, allowing us to use shallower depth of field. Shallow depth of field is not necessarily something desired in aerial or landscape photography. However, every lens a “sweet spot” with the best depth of field and sharpness. Closing up the aperture too much may cause diffraction – a loss of sharpness of the image caused by the light passing around the edges of the small “hole”, similar to squinting your eyes. The ND filter can help in this case by allowing you to keep the aperture within the ideal range. Using the ND filter for videos is similar to using it for still photography as it helps to introduce some motion blur by slowing down the shutter speed, or help us keep the aperture within the ideal range (for lens with adjustable aperture). At fast shutter speeds, the shutter opens up for a very short time for each frame, making the steps between frames noticeable. This will result in “jittery” feel to your video. Slower shutter speeds help introduce some motion blur and smooth out your video. This is referred to as 180 degree shutter rule, which basically means setting your shutter speed at roughly double your frame rate – at 30 frames per second, the ideal shutter speed would be 1/60, at 24fps you want to be at 1/50. This setting does not have to be exact, using 1/60 or 1/40 for 24fps will work too, proper exposure should always be the priority. Connect & Comment: leave us a comment and ask any questions about ND filters below! My issue is finding a good ND filter for the GoPro. I’ve search around on Amazon and the comments all lead me to believe most ND filters are too heavy for a small gimbal. Any one have any recommendation for light, good quality ND filter for GoPro? Hi Cash, we sported the Polar Pro (on a Zenmuse/GoPro) and didn’t really have many balance issues (just some wind resistance at higher speeds). I remember having slight balance isuues when going to GoPro 4, but rectified those by using a small led weight to balance the gimbal. Maybe you can try that. Which gimbal are you trying this with? My setup is very budget. I have the Walkera g-2d (metal version) which does seem to handle the Hero4 and a cheap plastic lens protector just fine. I actually just ordered the 3 set of filters from polar pro, so we’ll know soon! Great, thank you! I have struggled with these too, it’s constant experimenting. If you have any questions, feel free to share them in our forum, you can tag me @Petr Hejl, I’ll be happy to help. Cheers!